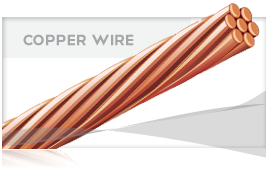 Single conductor composed of annealed, uncoated stranded copper, without a strand separator, cross-linked polyethylee insulation. Rated 600 volts or 5,000 volts as identified. 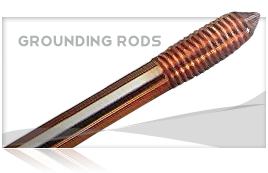 These cables are suitable for overhead installation between poles or buildings and from pole to building weatherhead. +Ampacity figures for black insulation only. 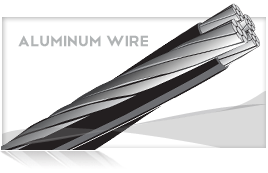 Based on conductor temperature of 75 C for polyethylene insulated conductors, 90 C for XLP insulated conductors, 40 C ambient temperature; 2 ft./sec. wind in sun.